The 10th Annual Global Volatility Summit will be held on Wednesday, March 13, 2019 at Chelsea Piers in New York City. 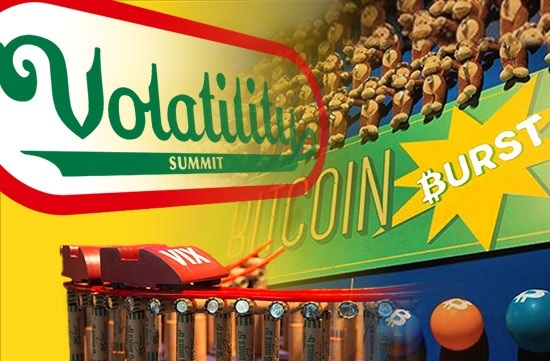 The content for the annual summit is thoughtfully designed to educate institutional investors on the use of volatility and quantitative related strategies. At the event, panelists include hedge fund managers across the volatility, tail hedging, quant, and macro spaces to discuss their views on the markets and use of such strategies within the context of institutional investment portfolios. Global Volatility Summit brings together experienced hedge fund managers, industry experts, and senior investment professionals that manage portfolios for some of the world’s largest pensions, sovereign wealth funds, endowments, foundations, insurance companies, asset managers and banks. Discussions, panels and presentations are designed to examine the various roles of volatility, tail hedging, quant and macro strategies in the context of an institutional investment portfolio. In addition to thought-provoking keynote speakers, the event facilitates collaborative networking sessions. Tobias Hekster, Co-CIO of True Partner Capital USA in Chicago, will be a speaker again at the 10th Global Volatility Summit in March 2019. The panel promises to be interesting given how eventful 2018 was in the volatility markets. With past December both dragging most global indices into negative territory for the year, it also showed a strong recovery at the very end. This leaves the discussion open as to whether the storm has mostly passed, or that we are just at the beginning of prolonged market turmoil. Tobias Hekster has been actively trading for the past 21 years in various different roles in several markets across the globe. Starting at IMC in 1998 as a pit trader in Amsterdam, Tobias has established the off-floor arbitrage desk, headed the Chicago office in the transition from floor trading to electronic trading and set up the Asian volatility arbitrage desk in Hong Kong.